Creative Bible teaching often includes the use of a variety of Bible teaching methods, including different forms of drama. Isn’t drama a worldly type of method? If you look through Scripture, you’ll find God using forms of drama in communicating. God could have merely told writers of Scripture what to write but sometimes dramatized what He wanted them to know in a vision. Sometimes He instructed the Old Testament prophets to act out what was about to happen. 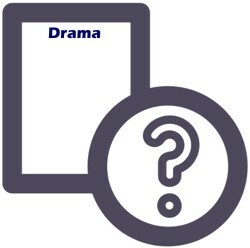 The real issue for Bible teachers is the content and purpose for which drama is used. That’s what determines whether drama is good or evil, beneficial or not. 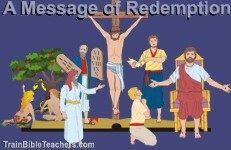 Doesn’t cost prohibit most Bible classroom teachers from using drama? Costs for major productions could be prohibitive but when using drama in the classroom, we’re not usually doing a major production. Some forms of drama require no props or costumes. When you do need them, you can usually keep them simple and may be able to make or borrow them to keep costs down. While you should want to do whatever you do well, entertaining or producing a wow factor shouldn’t be your primary objective. Remember the instructional purpose of drama in a Bible class. How does the age of students factor in to use of drama in the classroom? Drama can be effectively used with any age. As a general rule, the younger the age, the simpler and less complex the plot, the shorter the length, the less abstract or symbolic, the more limited number of characters involved, etc. This entry was posted in Teaching Methods .